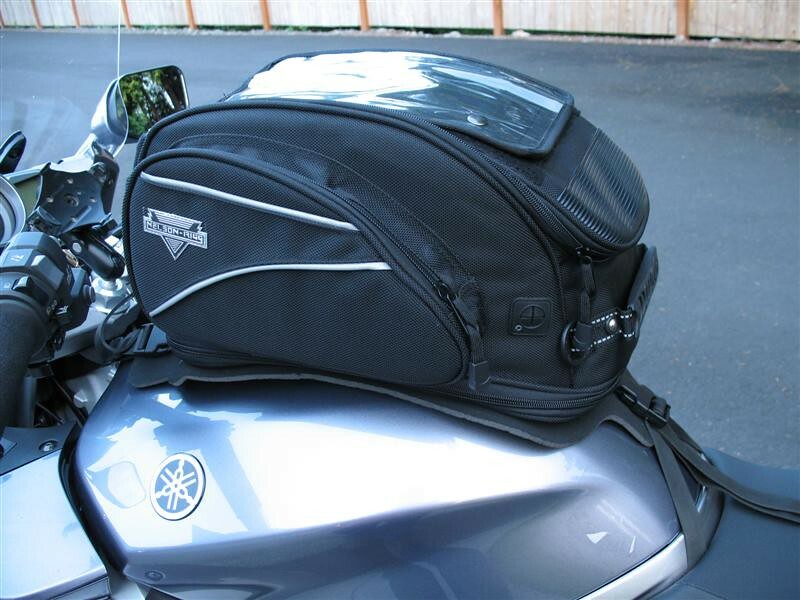 The curved profile of the bag fits the tank shape. The foam pad attached to the bag protects the paint and keeps the bag from slipping around. Nelson Rigg provides an exceptional value for under 90 bucks with this luggage. Shoulder straps are included to convert it into a backpack. They unclip and store inside.